Capcom has just let loose a batch of new Monster Hunter X screenshots for us to feast our eyes on, as well as some additional details that we didn't know about before. Dinovaldo, one of the main four monsters you'll see in the game, is detailed, as well as some other important information spelled out in the latest batch of release details. Dinovaldo is a Crimson Wyvern with a long, deadly tail that gives it the nickname of the Cutting Wyvern since its tail resembles a sword. It polishes its tail with its fangs if it gets covered with soot so it'll stay shiny and clean. One of the places you'll be exploring is the Ancient Forest, where an enormous herbivorous species known as Rimosetos make their home. They don't typically attack hunters and eat leaves and fruits from high places, much like long-necked dinosaurs of the real world. You'll also see the Maccau, a Bird Wyvern with a colorful body, and more. 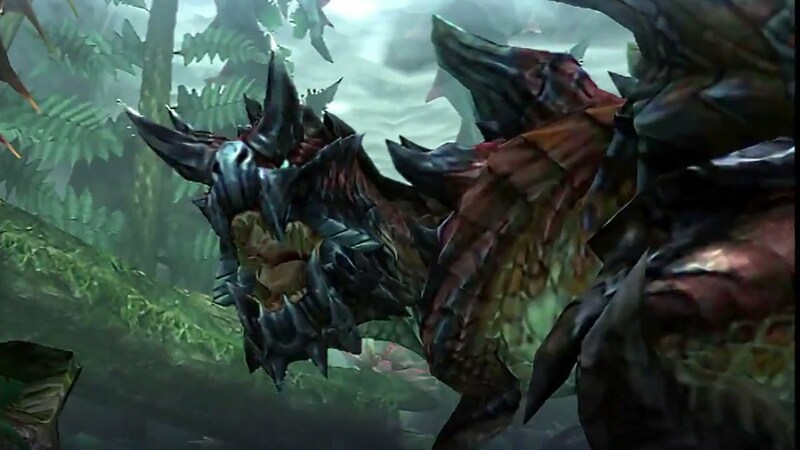 As far as the monsters making a return appearance within the game, you'll find Tigrex, Rathalos, Zinogre, and Brachydios. But don't forget the Felynes! Felyne Palicoes in Monster Hunter X will be available for you to keep as companion animals that can support you in battle. They're also great at being totally adorable. When they're not locked in combat, you can keep them in the Felyne Plaza, where they can grow even stronger. But mostly, they'll look adorable. 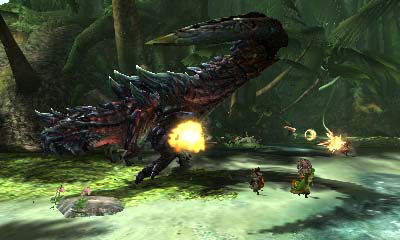 We'll see Monster Hunter X release on 3DS in Japan this winter.